Welcome to third grade at Fresno Christian Schools all new and returning students! 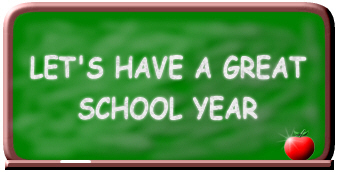 I have already met several of our new students and I know God has a great year of learning in store for all of us. Parents, family, and friends are invited to join our school for our opening Convocation in Peoples Church Sanctuary at 7:55 AM on Monday, August 17, 2015. Each week on Monday you may go on-line to read our class newsletter. The newsletter will contain our weekly character trait, scripture verse, spelling words, homework assignments, and special activities like field trips. On Mondays you will want to look for a Red Homework Folder with your child’s graded work along with a copy of the newsletter. Please take the opportunity to go through the work together. Each week we will focus on a specific character trait verse. The Bible verse will be sent home on Mondays and will be from the NIV version used at school. Bible verse tests are on Fridays every week. Third grade students will be asked to write from memory the Character Trait, Reference, and Bible Verse. You will want to help your child practice writing the verse each week at home. My hope this year is that each child will continue to grow to know Jesus in a deeper way and hide His Word in their hearts. As we seek to know Him, we will do so by participating in daily class worship, searching and reading God’s word, studying the powerful stories of Old Testament patriarchs, participating in chapel, studying memory verses, and praying together. Verse: The fear of the Lord is the beginning of wisdom, and the knowledge of the Holy One is understanding. I will be sending out a weekly list each Monday. Start practicing your spelling words early to ensure good results on Fridays. Each week “BONUS” words will be given for those students who like an additional challenge. These words are not mandatory. The student may choose to do them or not. Bonus words missed do not take away from the score of the 20 regular words, but do help a student if his quarterly grade is borderline. Along with our weekly spelling test grades, students will have a Friday sentence dictation grade. This gives the students an opportunity to practice using their spelling words in context and improve writing skills needed for compositions. This year third graders will have instrumental recorder choir music on Thursdays from 8:45-9:15 AM as well as vocal choir music on Fridays from 8:05-8:45 AM. I am sending home a STUDENT PROFILE concerning family, school, and religious experiences. This gives you the opportunity to share areas and concerns you would like me to be aware of as I work with your child this year. Please take time to fill out the profile this week and return it by this Friday, August 21. At conference time we can focus on strengths and areas for future growth together. Thanks for your insights. Please let me know if your child has any kind of allergies I should be aware of. I am asking that students and adult volunteers avoid wearing fragrances in the classroom due to allergic reactions. I appreciate your support with this matter. I look forward to seeing each of you at “Parent Back to School Night” Tuesday, August 25th when I will share details about the “World of Third Grade.” Together, here at FCS, we pledge our sincere effort to continually help your child grow spiritually and academically while under our care. Thank you for your encouragement and prayers. 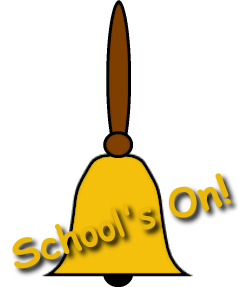 Morning recess is scheduled from 9:45 AM-10:15 AM daily. Lunch and afternoon recess is from 11:45 AM-12:25 PM on Mondays, Tuesdays, Wednesdays and Fridays. I am performing a variety of assessments in class this week in the areas of reading, writing, and math. Ongoing assessments will be performed to assist in meeting your child’s instructional needs. Snacks may be eaten during the morning recess. Fruit, veggies, crackers, cheese, chips, yogurt, and fruit snacks are some suggestions. We will save our dessert foods for lunch. Because of various children’s food allergies, we are not allowed to share or trade food. Children will be honored individually on their birthdays. You may bring a treat and drink if you choose. Your child and you may choose and there are no restrictions, whatever is a favorite to your child. We celebrate at 2:30-2:40 PM. Just let me know a few days ahead of time if you want to celebrate at school. If your child has a summer birthday, he/she will not be forgotten. We will find a day for them. It can be on their half birthday or any day that works for you. 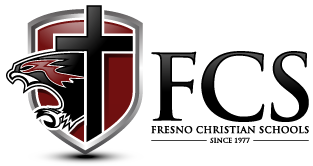 If you have any questions, please feel free to email me at: cfraser@fresnochristian.com. You may also send a note with a child. I check emails each day and I will return your email within 24 hours. In the event of an emergency, please call Lisa Dooley, elementary secretary in the Elementary Office, at 299-1695. Also, I welcome parent helpers in the classroom from 8:00-10:15 AM. If you would like to help with paperwork, bulletin boards, assisting students, or other tasks, I would greatly appreciate it! 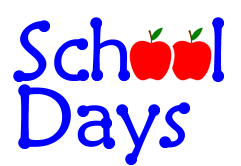 Sign-ups for morning classroom helpers and field trips will be at Back to School Night Tuesday, August 25th. Online book orders are sent home monthly. Scholastic publishes excellent books and software for children at a moderate price. Please do not feel obligated to purchase. 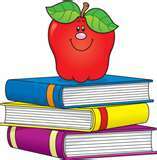 Please have your child bring a favorite literature book to read during “Silent Sustained Reading” after lunch each day. The book should be kept in his or her backpack at all times for easy access on a daily basis. There are also classroom library books.